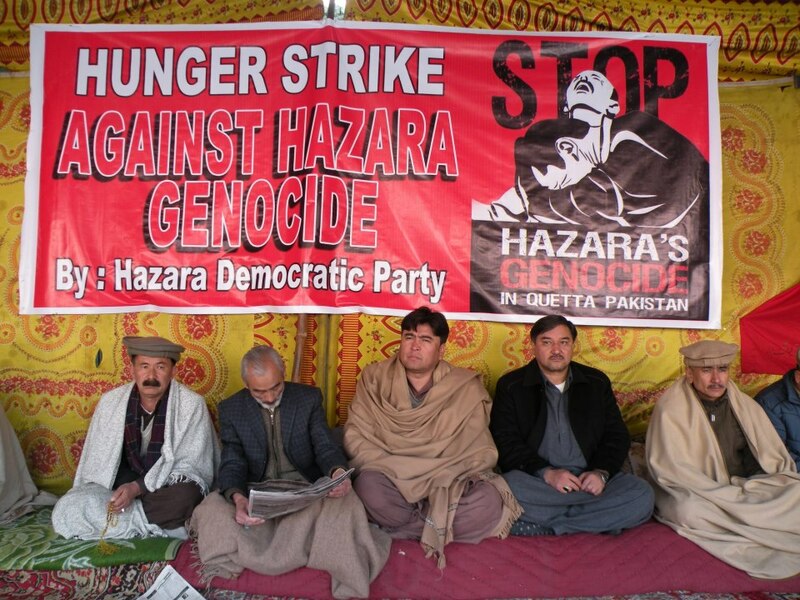 QUETTA: Hazara Democratic Party’s president Abdul Khaliq Hazara went on hunger strike for three days on Saturday in protest against the killing of members of the community in Thursday’s bomb blasts on Alamdar Road. Hundreds of workers of the party set up a hunger strike camp in front of the offices of the Balochistan police chief. Earlier, leaders and workers of the HDP marched on various roads and chanted slogans against the government and police. Addressing the protesters, Mr Khaliq Hazara criticised the provincial government, police, Frontier Corps and intelligence agencies for what he termed their inaction against terrorists involved in the blasts in which more than 100 people were killed and 165 injured. He said about 900 people of the Hazara community had been killed and thousands injured in sectarian attacks in the city over the past four years. He said the government and law-enforcement agencies were least interested in nabbing the culprits or curbing terrorism as not a single killer had been arrested. The HDP leader said the inaction on the part of the government and police had encouraged terrorists to attack innocent people at will. He appealed to political groups and human rights organisations to take notice of ‘genocide’ of the Hazaras and devise a joint line of action against terrorism and extremism. Delegations of several parties and organisations visited the camp and expressed solidarity with the HDP. Activists of the Hazara Women’s Foundation also held a demonstration along with children outside the press club. The protesters raised slogans against the government and condemned the killing of the Hazaras.